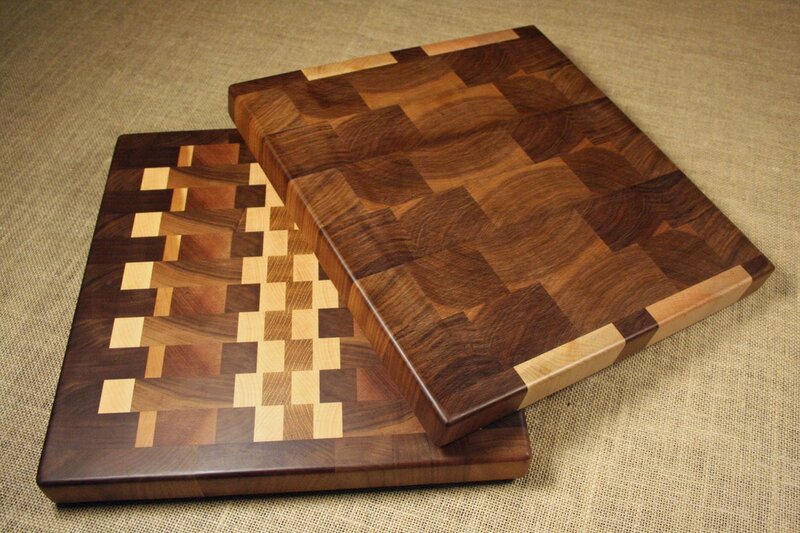 Our cutting boards and serving trays can be purchased through our online store, retail stores across Michigan, and viewed directly in our shop. 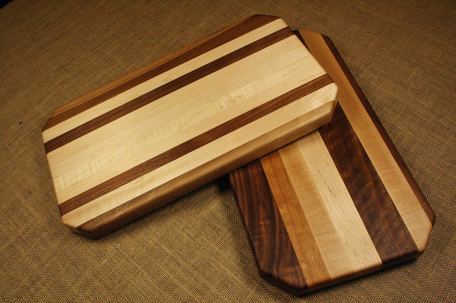 We feature three different series of cutting boards; Artisan, Professional, and Elements (where serving trays reside). Below is information and examples of each series. 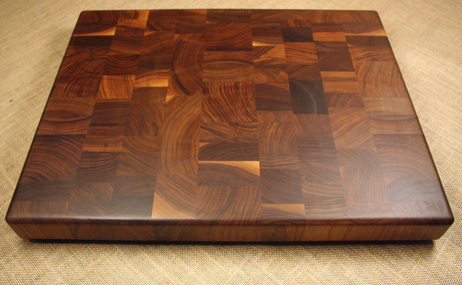 The original Cento Anni cutting board: mixed hardwood END grain. End grain (true butcher block) construction is the most knife friendly, with seeming ‘self-healing’ properties. When you make a cut on an end grain board, the knife actually slices between wood fibers, as opposed to cutting into them. Our value priced cutting board: mixed hardwood EDGE grain. 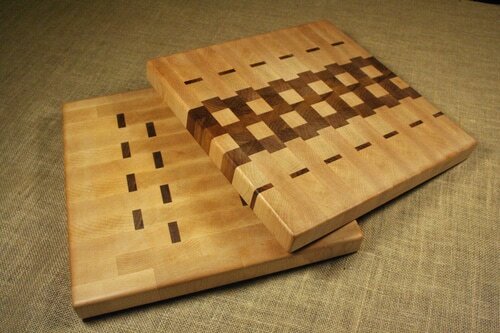 Included are Michigan shaped cutting boards (with more states to come) and serving trays.